After more than a year of silence because of my new job as a Civil Enginer at Colombia, I can truly say I´m back. It has been not easy for me and my family to live in such nice but quite different country. I really missed my parents and family, friends, food and way of life. As you may have also noticed, I´ve not been very active on Facebook or modelling forums as during all these months I just wanted to be concentrated on my work and my family …. and in modelling! Why? Because here, in the distance I´ve noticed that I was just making the same kind of modelling day by day, just changing and improving little by little my techniques. I was just copying myself kit after kit. So, I decided to change my perspective and change my modelling subjects. I just returned to my origins making airplanes, ships and Sci fi items, which requires different painting techniques, perspectives and new approaches. I must say that now I feel more complete as a modeler than just a year ago. So, I´m definitively back but in a different way. 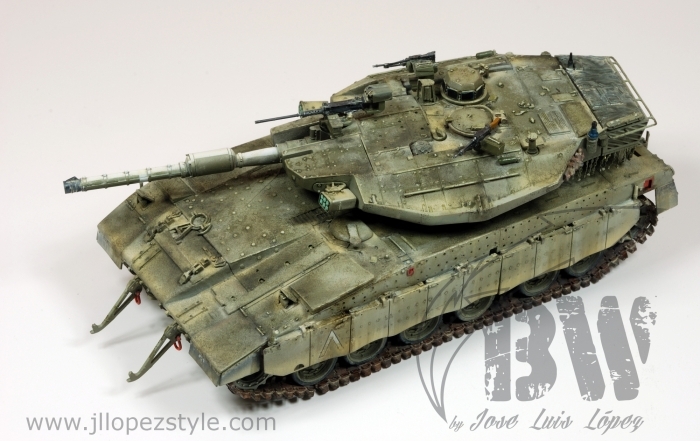 Will I make more AFV´s kits? Of course! 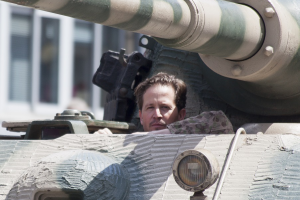 I love AFV´s kits …. But I´ll concentrate in new subjects. Hope you enjoy too this new modelling era for me. And a new area, “Rincón Español”. In this area, just in Spanish, I´ll translate and share my book “Painting Guide for AFV of WWII and modern era” little by little as well as other articles. This book has been translated to English, French, German and Japanese. Now, it´s time for my home language. Nearly all the pictures of the book will be included in the website in high quality with comments, but just in Spanish. So, welcome again to my website and let´s go with the show! My name is José Luis López, welcome to my website. I was born in May 1971 in Madrid, Spain. I´m a Civil Engineer but my real passion is not for bridges or buildings, it is modelling. I started making kits with my father in our living room. I remember long winter Sunday evenings at home watching my father making kits for hours. I “helped” him sometimes holding the glued pieces and looking for all those little parts falling on the floor, with virulent and violent fights with the carpet monster as it always tried to eat the pieces! My first kit was a Revell´s kit: a F-104 Starfighter, which I glued and professionally painted with a nice sand color with a superbly executed camo, applied with a green color fluorescent marker… But it was the first one of a long collection of airplanes, spaceships and tanks! Matchbox, Revel, Frog, Esci, Monogram … I was a living modelling machine during those years. At about 16 or 17, girls became more interesting and exciting to me! University, my first work, my wedding with my wonderful and patient wife Marisol, and my two sons made me forget my hobby in an active way. Although I did buy modelling magazines from time to time and visit shops and eventually buy (and store) some kits. Just in 2006, as my kids demanded less time, and thanks to internet websites like Missing Lynx, Armorama, so on, I started to make kits again. But, in my opinion, I did it in the wrong way. I decided to start making a nice kit, a Pz III Ausf L from Tamiya, but my mistake was trying to emulate all those incredible and extra-detailed builds I saw on those websites …. 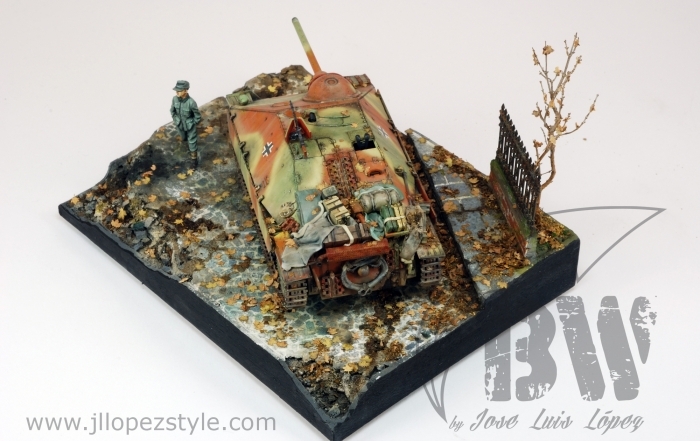 Aber´s PE set, metal fenders and gun barrel, Modelkasten´s tracks. It took to me close to 4 months to finish it. I added every detail that was supposed to be on the real vehicle. The result was great and I really felt very proud of the effort. Clean built and crisp details everywhere, and almost at the same quality standard as all those wonderful kits I saw on the modelling magazines and internet. But the problem started when I tried to paint it. I followed the steps I saw on magazine´s articles, but the result was absolutely disappointing. Modelkasten´s tracks literally melt in front my eyes. Paint peeling off from PE Parts. Pigments absolutely hidden the base color, oils and washes just spoiled the base color. It was a real shock for me. I felt down, depressed, angry … and I said: “no more models again”. Two years later, in 2008, I decided to try again. But I completely changed my philosophy and point of view. Our hobby has two different “areas”. One is more or less an “engineering” type of work. You just have to follow plans, diagrams, study historical or technical pictures and drawings and have some skills with resin, plastic, PE parts and other materials like aluminum, copper, and soldering. Of course there are also different levels of accuracy and detailing, from simple aftermarket on your kits – to 100% scratch built kits, a task just possible to some highly experienced and skilled modelers. But in any case, in this area, a very important area, you just need to follow the instruction sheet, read drawings and make correct interpretations of historical pictures and maintenance manuals of the real vehicle. 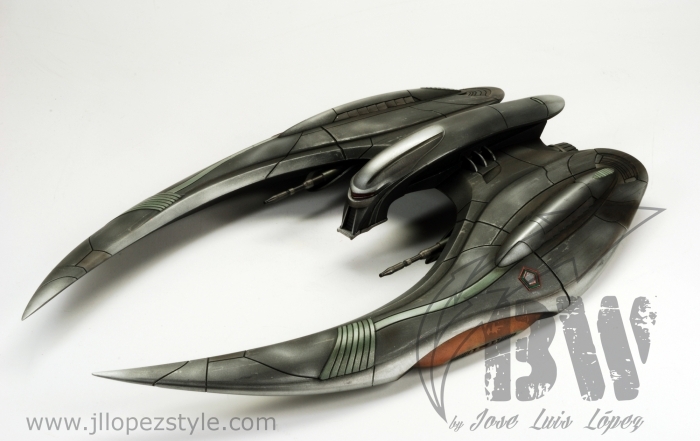 But the second area, in my opinion, is by far a more complicated aspect of modelling. Here, aesthetics, artistic ability, and realism work together, as well as many materials with different chemical compositions like pigments, acrylic paints, enamel, oils, burnishing products, varnish that must be mixed in the right way to avoid compatibility problems. In this way, I decided to concentrate my efforts making OOTB models (and quarter scale kits were perfect for this task and I strongly recommend this scale for beginners and for those who want to paint without fears) and follow with faith all the steps that my favorite modelers did in their kits. In this way, I started to understand how each material and technique worked and, more important, the contribution and relevancy of each step in the final result of the kit. Because in my opinion, the sequence is crucial for modelling, to know why and what to use at each step of the process. So from 2008 until today, my modelling ways have focused on painting and weathering kits. And as a result, my growing skills painting kits has allowed me to dare to paint many complex assembled kits from other modelers with confidence. Because confidence, is the real key for modelling. I assume that I´ll never be a complete modeler. I really envy some modelers in the world who are able to build and detail kits to an extreme and are also able to paint those kits in an incredibly realistic and attractive way. I just enjoy painting kits in a particular fast and aesthetic way, as I use to get bored to see the same kit on my workbench for more than a month. So, my kits are also far from perfect if you look them in detail and will never be “The Best of Show” in contests. My goal is to enjoy making a nice, eye-catching and attractive kit, that´s all! And that´s exactly what you´ll find in this website. A website dedicated to paint and weathering kits using different techniques and the way and why they´re applied. 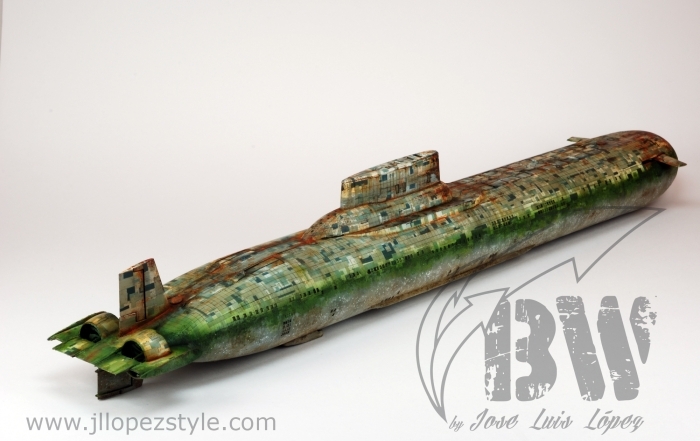 This website is especially dedicated to those modelers who want to learn while painting a kit, improve their skills, or just copy some tips here and there. I´ll be very happy if this website helps modelers to lose any fear or confusion when painting and weathering kits. You´ll find several steps by steps of some of my kits that have already been published in many magazines around the world, regarding the style of painting and the techniques employed. Text is a very important part of an article for me, as well as high quality photos to see the kits and their mistakes!) in detail as well as the step by step painting process. Also, in the future I will include a future, a special area were magazine´s supporters will find high resolution pictures of my kits currently published on magazines. To enter in this area you´ll need a special code that is included in the magazine´s article. And why this restricted area? In my opinion, supporting magazines is essential to ensure the continuity of our hobby and because this website exists because magazines and editors pay modelers for their articles. A good camera and the illumination lights, the stand, this website… is not free! Supporting our magazines (in their paper or digital issues) is a way to ensure that our hobby continues growing and giving chances to modelers to share and improve their works by publishing them and giving the chance to modelers all around the world to share their tips and techniques. A Blog with my travels and modelling experiences and a review area will complete this website which I hope that you´ll find useful! And my e-mail is open to suggestions to improve it! Thanks!! !